There’s a lot of information and misinformation to be found on-line about Yamaha FG guitars when seeking out their history. And it’s often a frustrating journey trying to get authoritative specifics about any particular FG model. Prior to 1966, the Yamaha International Corporation sold many guitars under the “Dynamic” name. Several different styles and construction types were offered and the Dynamic era featured models named numerically that included: No. 20, No. 25, No. 100 and more, some with solid wood bodies, others were laminated with veneers. During the 1960s, it’s said Yamaha’s guitar exports experienced trauma in shipment, with wood guitars warping, cracking and breaking. Financial losses by breakage became intolerable and Yamaha began to focus on improving the company’s bottom line, yet in a way to not degrade the sonic quality of its product. Around 1966, the Dynamic name would give way to a new Folk Guitar (FG) series of guitars. The FG line was developed to emulate the sounds of more expensive world class guitars, replicating or improving upon them, with many of their guitars wrapped in laminates of rosewood, mahogany and other tone woods. It was a Yamaha FG-150 handed to Country Joe McDonald in 1969 at Woodstock that grabbed the attention of many music enthusiasts around the world. And for today’s Yamaha aficionados, the rest is history. During the ’70s Yamaha guitars could be seen on stage in the talented hands of such guitar masters as John Denver, Bert Jansch, Paul Brady, John Martyn, and decades later in videos of the remarkable singer-songwriter, Elliott Smith. 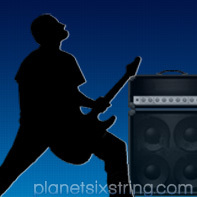 Still, today FG series guitars have fans around the world, with a few attaining some level of cult following. One sought after FG is the FG-180, an all-laminate guitar and most notably those with green or red labels that cite “Nippon Gakki” (Japan Instrument). Although, some Elliott Smith fans seek out the Taiwan built FG-180 guitar he played. Regardless of their origins, both “versions” are wonderful acoustics. 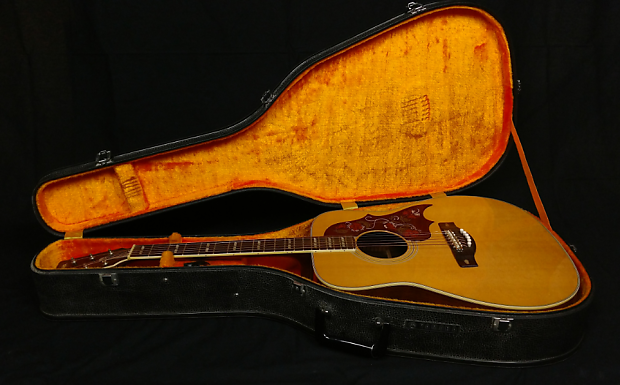 Yamaha went offshore in ’71 or ’72, moving production of many of their FG guitars to Taiwan. The early Taiwan built guitars have red labels and a “T” fronted serial code. The “T” designated the guitars Taiwan origins and it would make sense that Yamaha used up their stock of red labels, and excluded the Nippon Gakki print. It’s also possible the Taiwan guitars had red labels slapped on them because they were meant for export. The history is muddy. Elliott Smith plays “Between the Bars” on his FG-180 (Taiwan). Today, the labels on these early Yamaha guitars have become factors in how they are valued. A red labeled guitar with “Nippon Gakki” is generally valued more than a Taiwan guitar with a red label without the Japanese origin. Some claim that the earlier Japanese FGs are better guitars than the Taiwan built FGs, however, it’s a belief that seems more subjective than accurate. But, maybe this is just a manifestation of “Love the one you’re with…” or “Sweet dreams are made of this…”. Even comparing one FG with another to make a definitive series-wide sound quality conclusion is faulty. There are just too many variables, like strings, age, construction materials, consistency in production processes, and the players themselves. Sound comparisons between all laminated guitars and those with some solid wood features, can likely be drawn with more conclusiveness. Some will be “S” designated models, that more often than not indicates that their soundboards are solid, with the backs and sides laminated. Some find these have more clarity and a punchy responsiveness. Still, it depends on the guitar and all of those pesky variables. Yamaha apparently used quality tone woods, directionally layered to remarkable effect, and in a manner that can produce responses as good, and oftentimes better, than some other more expensive branded solid wood acoustic guitars. Regardless of their materials, when fitted with a pickup and a few effects, the “Yammies” can be stunning beasts. The masterful John Martyn, with his scruffy Yamaha FG in 1973 (BBC). Out of thin air it seems some owners of the Taiwan made FG models have conjured an idea that the early Taiwan guitars were built by many of the same Japanese craftsman who built the Nippon Gakki guitars. From a business perspective, it would have been a smart practice for Yamaha to have relied on its experienced Japanese craftsmen to train and mentor its new Taiwan workforce. So, it’s a rational rumination. But, so far there’s no proof in that pudding. Some guitar owners just have some hankering to have in their hands a Holy Grail guitar, one with a provenance that makes it special, unique or shrouded in some historical mystery or significance. And, the more that kind of lore is laid on a guitar, the more sellers will ratchet up their prices. Thousands of the old Yamaha FGs may have bounced around the holds of ships, been left in cars to bake, or suffered an artful delivery toss onto a hard front porch. Still, in all likelihood the guitars just shook off such bad behavior and kept their side of the bargain. For most peoples’ money, like any guitar, an FG is only as good as how easy it is to play, how melodic it sounds and if it consistently and reliably does its job. Simple. Find a good one, put your favorite strings on it and make some music. Play it straight or install a pup, either way you’ll have some fun when you let her rip. And, definitely, give it a chance to show it’s true colors in some alternate and open tunings. It’ll come alive! The YouTube ID of J5TM85_PCJQ?list=RDJ5TM85_PCJQ is invalid. Yamaha FG-300 – Video courtesy of Bernard Vdd. The bottom line is the Yamaha FG guitars were both hardy and inexpensive guitars, except for a few notable exceptions, and targeted a growing singer-songwriter market. Today, many owners can honestly say Yamaha nailed it with the FG series. They not only met the needs of the Boomer generation, they exceeded them. 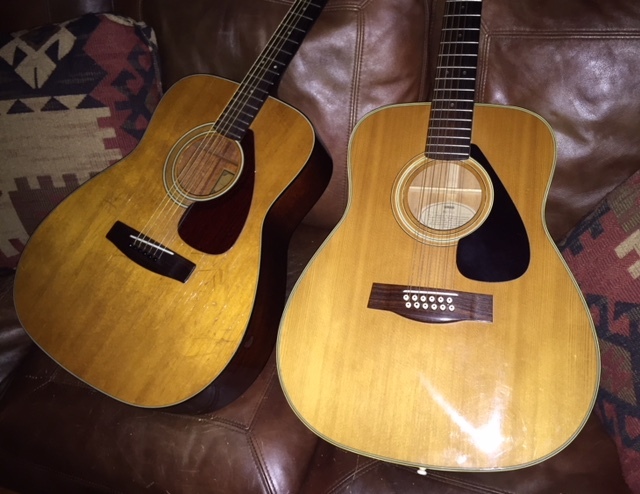 And a half-century later thousands of these old Yamaha FG guitars are still around being played, and many are sleeping quietly in darkened closets, waiting to be reawakened and loved by a whole new generation of guitarists. Editor’s Note: Rick Landers has no affiliation with the Yamaha Corporation. He has recently acquired several vintage Yamaha guitars: FG-180; FG-200; FG-312-12; FG-412 and an FG-300.